This is my son’s first project. 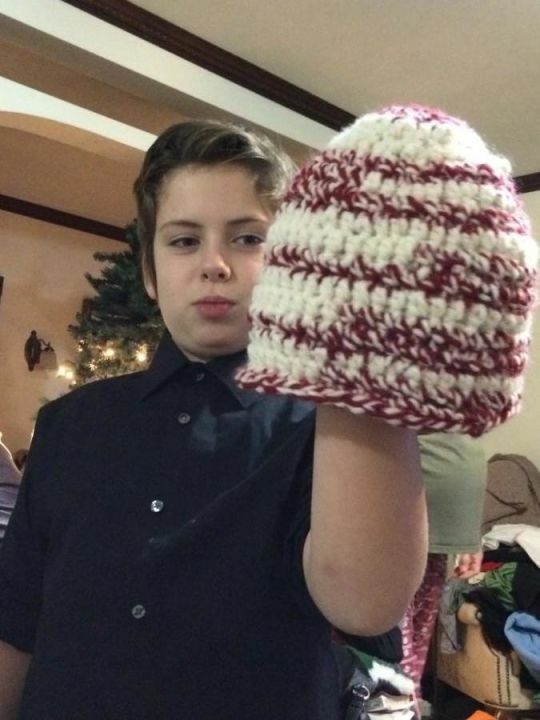 He wanted to make a hat for his teacher who is an IU fan – Go Hoosiers! I gave him a quick 10 minute lesson fully expecting to have to finish it up myself. Wrong! He had it done by the end of the day!